Yesterday I made a few notes on why I switched from MediaTemple as my host, and indicated that performance was a major issue, along with support. Today I’ll expand on the support situation. Your Grid hosting service comes with award-winning 24/7/365 support by chat, Twitter and phone. Due to unexpected memory issues, we have disabled mod_pagespeed on all domains that were using it. There should be no interruption to your service as a result of this change. No. For any domain that had mod_pagespeed enabled, our systems will simply no longer load this feature. Mod_Pagespeed is still loading…I need to make updates to my website and it is absolutely crucial that you guys make it possible for me to turn this feature off immediately. Thank you for contacting (mt) Media Temple. In regard to your issue, it appears that the mod_pagespeed is being referenced within your .htaccess file for clicknathan.com. This could be the reason why it is still being recognized by your site even though the module has been disabled for the (gs) Grid-Service. I would recommend adjusting this file and this should correct the issue you are experiencing. Not to mention that the overall issue here was that they removed mod_pagespeed, an Apache module that helps speed up websites (again, the whole reason I left MT was due to performance issues, and mod_pagespeed could have resolved that). Mind you, they did this back in November of 2013. Ten months later they’ve found time to redesign their front page, and pretty up the account center, but performance and things like this which were removed without input or option to the customer haven’t been addressed. A new front end shows that they’re more interested in new customers than taking care of those of us who’ve been around for several years. I’ll just leave it at that for now, but suffice to say I have had issues with downtime, slow server response times (despite having their $20 / month MySQL Grid Container to address just such issues), ridiculously slow response times to my support tickets, and have been brushed off one too many times. 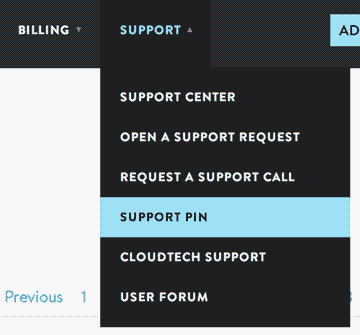 I wish I could list more times, but I’ve only had to request support twice. Sure, I’ve only been with them a short time, but do those numbers show you anything? Now how about an example of one of those support requests? I’m having trouble getting my domain setup properly. 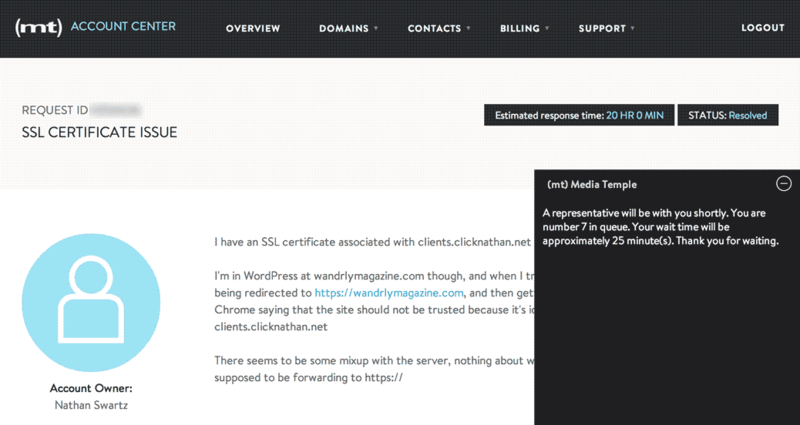 I have the A records setup as outlined, but I still get forwarded to the temporary domain? It seems as though your primary domain was not set in the domains list. I have gone ahead and set this on your behalf and your domain is no longer redirecting. Whoa, they set this up on my behalf?! MediaTemple would never, ever just go ahead and do something that I asked them to do. They would point me at ten different Knowledge Base articles, and that would be five hours later. To be honest, I don’t expect any host to just go ahead and take care of a problem, as none of them ever do. Kudos, WPEngine, you actually go and do what you promise to on your sales page.